Encounter – You have the Soap Box! Following up on my thoughts last week about the importance of ENCOUNTER, I am writing this week to invite you to share some thoughts with me. 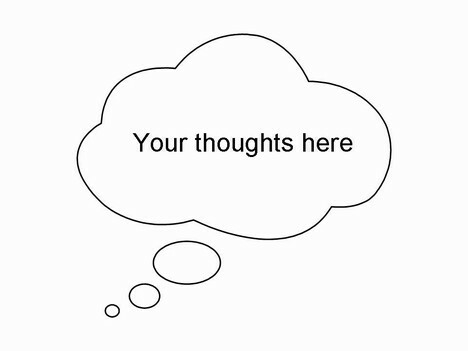 Please write – you can send your thoughts to me at jadleuven@gmail.com – I would appreciate your telling me who you are and whether or not you want your observations identified or simply listed as anonymous. I want to know what YOU think are the important issues for Christianity today. Your concerns. Your hopes and wishes. I will publish what I consider the most thoughtful and/or original pieces that come my way…..or I may summarize if I get a lot of responses. In October 1517, Martin Luther issued his own observations about Christianity in his day……..
Issues of concern to many are these: 1. Addressing Climate change and accompanying environmental issues in systematic ways. I think this to be the most critical in our times, and it needs to be understood and applied at every level. 2. Gender equality and all that it can mean for decision making and for ministry at every level, including ordination of women to the deaconate and priesthood. 3. Restructuring of the papal office and the teaching magisterium so that it reflects a horizontal approach, so that invited to the table of conversation are theologians of every discipline and in conversation with scientific, economic and psychological scholars of some repute today. 4. Getting rid of the hammer of excommunication and replacing it with ongoing conversation on all thorny issues. No one should ever be excluded from the faith community. We have too legalistic a mindset when people are not convinced of certain teachings, most especially literally, man-made rules and moral rules that cannot bear the stamp of Infallibility. Everything should be open to question when time worn thoughts no longer speak to people in this age. To that end, OPENLY teach conscience as the highest subjective norm In moral decision making. 5. Banishing all clerical titles such as Monsignor which one thought was Supposed to have been eliminated after Vatican II and all excessive medieval garb a la Burke style who is an embarrassment to the church. 6. Providing a comprehensive pastoral response and welcoming of people whose fundamental sexual orientations are varied. Much study and conversation here would be a requirement in the process. 7. Think and respond differently to homiletics. It is a well known fact that homilies are terrible in many local faith communities. Create a policy requiring a priests to get real training in homiletics. Also invite the laity with some background in theology to participate in homiletic training. 8. Make social justice a priority in every parish and provide diocesan training. Most parishes do well with charity but rarely does social justice as foundational to being a Christian ever get mentioned much less developed as a regular course of action. 9. Require all pastoral staff to get training in ethics and morality a la Vatican II plus. To that end, rethink and reverse the church’s teaching on birth control. It makes no sense at all. Enough, for now, qat this early morning’s rising. In the beginning— I picked up the bible today and began to read from Genesis. I am searching my mind for a place to begin dealing with a response to a why question which continually haunts me. Quest: We have figured out how to raise healthy crops and livestock and the methods are easily available and freely taught. My query is in all the centuries which have passed since civilization began to believe in one God —and I have asked this question many times before, why we we wouldn’t want to learn how to raise a healthy crop of children. In the past few generations, continuing in this century scholars have accumulated a wealth of information, and knowledge is available. Most families are dysfunctional to some extent. Why wouldn’t this be the prime goal for Christians who want workers in the vineyard to bring on the Kingdom of God following on the instructions and example of Jesus. Persons from healthy families could get on with the work to be done. I can’t recall how, when or why I realized that the seven days of creation of the world as dictated in scripture were not our definition of a week of days today. As mankind developed we came to understand the Biblical days referred to much longer periods of time than 24 hours and a day and could be defined as many, many, many centuries. We might even discover the Biblical sequence of the world’s development described therein might be out of order. I would think most conservative Christians would grant this to be so. This understanding of creation is helpful. Perhaps there are other words and ideas within Genesis to update. Just as today I read once again of Cain and Abel. I thought this God didn’t love each of these boys unconditionally. Else why would Cain’s gift be rejected. “Abel became a sheep farmer but Cain farmed the land. One day Cain gave part of his harvest to the Lord and Abel also gave an offering to the Lord. He killed the first-born lamb from one of his sheep and gave the Lord the best parts of it. The Lord was pleased with Abel and his offering. This made Cain so angry that he couldn’t hide his feelings.” Why? Each gave his gift. God says Abel’s is better than Cain’s? God prefers a bloody slaughtered lamb to gathered grains. Genesis describes God’s love as a conditional love? Is that how it’s done? Pregnancy is a man putting a fertilized embryo in to woman’s womb. It would follow if a man spilled his seed he was aborting or killing a potential human being. Lot of hullabaloo about masturbation could be better understood. This isn’t factual. This isn’t truth. Science uncovered humungous amounts of new information than what was known when this Creation story was first told. One of our scientific discoveries is a man cannot make a child without a woman. Science found out a man’s sperm fertilizes the egg within the woman and this becomes a potential human being. A child is created only when all the ingredients are in play. His sperm must make contact with a woman who carries the egg. Works same way with animal husbandry. However, believing the former to be true man was considered creator and woman, any woman could be his incubator. [Initiated this idea of woman as second class, even disposable, and often was -in order for man to continue his line.] He was merely following the biblical directives to increase and multiply. Our ancestors believed this was so even to the time of the birth of Jesus. He must come from the line of David. That is rather weird as he really comes from David through Mary. How do I figure that one out. First time I was aware of this interpretive error was at a layman’s presentation at Religious Convention Center in Anaheim 5 or more years ago. This is not something readily taught. Doesn’t require much imagination for me to figure out why this is secretive information within our religious institutions. Why spread such updated knowledge when men want to hold onto a superior position in life and especially in the church. There are always reasons why we are not told even when the facts are known to be true. Who would profit from our continued ignorance. Why make changes. We could raise healthy families who could change our world by following the way of Jesus. Then perhaps we wouldn’t need the bastion of hierarchy with rich citadels and extravagant living. Tithes could be used elsewhere. Perhaps we could return to small Christian communities as in the days following after the crucifixion of Jesus. My spouse and I were starved of information during our 63 years of marriage and raising 9 children. However, we were but one of the many families who did actively seek new knowledge, not just a better way but a best way. When the many learned, educated, knowledgable men and women in the last 100 years, my lifetime, shared the mounds of information they learned and even were willing to teach our schools and church, what happened? Little response, put on a back burner, and eventually these folks were even actively ignored in our Christian communities. These searching individuals and families, actively supported the principles set forth in Vatican II. They were dangerous to the status quo. Grown up male and female who were taught and who learned well might follow that they would raise wholesome children. We have this new information. Each father and mother understanding these facts could use them in their work, their job, being a parent to children. Learning facts and working through hours of therapy they then could work wisely together as partners taking full responsibility for their chosen parenting career. Colleges of parenting education could produce graduates, who when applying their learning would grow their crop of mature men and women. And each man and woman putting their unique God-given gifts into use would at long long last make great strides in building the kingdom of God. We could do this now and in the coming years. Why isn’t this happening?Why do we not have our eye on the ball? This healthy information has been and is being rejected. One would think our Catholic Church and the many other Christian churches would be in the forefront making change happen. Would this take generations? Or would the excitement generated move mountains. Who then is profiting by rejecting scientific truths? Do mature men and women threaten the men at the helm? Is this why? To maintain their positions folks must be kept unlearned like children in their pews. Newspapers, clubs, sermons, confessionals are some of their protective devices. Even perhaps propaganda. Are these methods being continued by some male humans, with cooperation of women who accept themselves as 2nd class humans beings accepting God’s love as conditional. The other side of this situation could be those of us coming from families we know were dysfunctional haven’t raised our voices. Shout it out. Disturb. Let voices be heard. Husband and wives, mothers and fathers are uneducated. We are very needy. Our message must be heard. Dysfunctional families are the root of it all. And today we can do something to bring about change. We have new tools. Families want to be healthy, can be healthy. Pope Francis and the Synod on Family has convened. Is this project even on the agenda we sent? This isn’t about conservative vs progressive. This is about naming the problem and finding the solution and doing something to get on with working the solutions.Then in the future boys and girls who grow up to be mature men and women can get on with the life we believe Christ called us to. 63 years of marriage is wonderful….and a source of much wisdom! In our religious tradition, women were certainly considered somewhat less than men…and some (many?) of the clerical men in fancy oldfashioned robes meeting in Rome right now try to maintained that narrow and distorted understanding in our own days. I think we have to understand the Genesis events as early Hebrew religious mythology: explaining their beliefs about God and men and women but with an understanding of God as a sometimes hardnosed task master. Not at all the image of God as “abba — I.e. daddy” that we see in Jesus of Nazareth.